Are you passionate about working with cutting edge Salesforce.com technologies? Does the opportunity to work on Salesforce.com-based solution that is changing the way that companies are engaging with their employees excite you? The ConnectMe team is at the center of building, implementing, and supporting the digital workplace of tomorrow for our clients. ConnectMe enables a digital workplace using data and insights to connect the workforce to what they need, where and where they need it. It allows HR to integrate and streamline information across various system through a personalized dashboard. As a Salesforce Senior Specialist in our ConnectMe CoE, you will participate in the full lifecycle of new ConnectMe releases as well as help to drive new innovation into ConnectMe through the development of proof of concepts related to the Salesforce platform. Additionally, you will bring your deep product and technical knowledge to bare on helping to troubleshoot and resolve issues that our new or existing clients might be experiencing. • Working with the ConnectMe Product Owner to identify and build innovative components that meet the needs of our clients and exceed client expectations. • Providing your expert knowledge in SFDC and ConnectMe to support the implementation and support of the product for our clients. • Teaming with the product engineering team to test and validate new functionality meets our client expectations. • Supporting the team by customizing demonstrations of the product to show clients the power of ConnectMe. Based out of our US Delivery Centers in Orlando Florida or Gilbert Arizona, you will work with the Deloitte Consulting organization to design, develop and build solutions to help clients reimagine, reshape and rewire the competitive fabric of entire industry. If not local to one of these locations, we can help by providing relocation assistance depending on how far you are moving. • Must sit in one of our USDC locations (Orlando, FL or Gilbert, AZ). Some relocation assistance is provided. • External consulting experience with a big consulting firm. Today’s employees are digital consumers. They expect to interact with colleagues, access information and connect to work with the same ease they have at home. 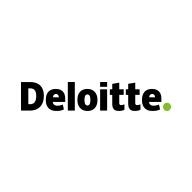 This is why Deloitte created ConnectMe - A portal, mobile, workflow, and case and knowledge management for HR service delivery.